In Dolls > Bisque Dolls > Show & Tell. As with many depression era children, my Mom had few toys. By age 9 both her father and older brother had died and she was then separated from her younger brother and sent to live with her aunt. 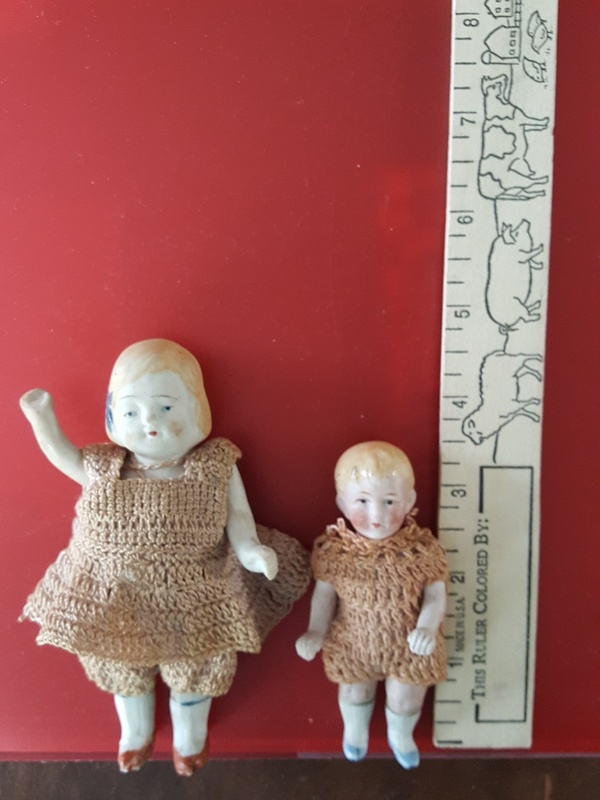 Her aunt was single and worked at Clark thread company in Newark and she gave my Mom these dolls saying they were a reminder of my Mom and her younger brother. 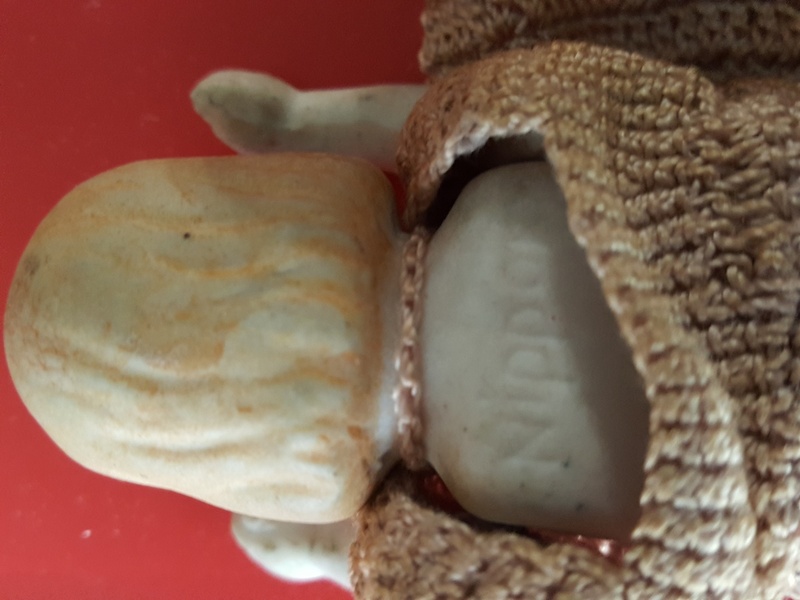 She did have a Raggedy Ann type doll and a ceramic cupie type doll but they are in pretty bad shape so my Mom must have played with them more that these two. 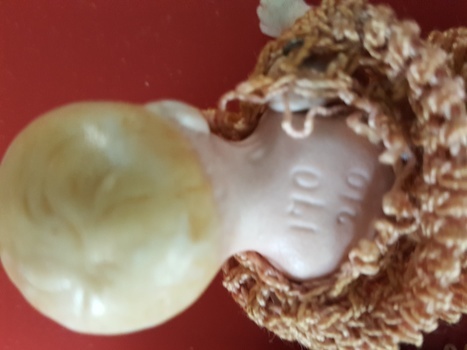 Anyway these are all ceramic or whatever the material is, the crochet outfits are original and I can see Nippon on the girl doll and a number on the boy. The arms and legs move. I estimate my Mom received the dolls around 1933. Hi your cute little dolls are made of stone bisque in Japan(Nippon) and are called dollhouse dolls although they were not always used in a dollhouse and were loved because a girl could easily carry them with her in her hand . These dolls date from 1920's to 40's . The doll with numbers looks like one made in Germany . Here is a example of the type of dolls you have . The price is sellers idea so do not use that but just look at doll .